April 1-30, at participating quilt shops. Print out your passport, and hit the road starting April 1! 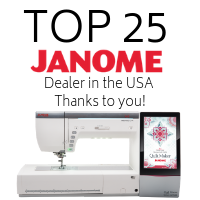 Between April 1 through April 30, visit as many participating quilt shops as you can. 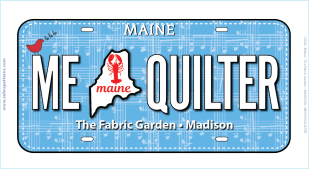 Get your passport stamped at each shop, pick up your free charm square, and enjoy the road trips through Maine in the springtime! At the end of the month, send in your completed passports and you're entered into drawings for some of the $20,000 in fabulous prizes. Prizes are donated by the local shops and the companies and manufacturers who make the fabrics, books, patterns and notions that we all love. From modest beginnings, the hop has grown from a handful of shops to 30 participating in 2019. In 2018, there were over 800 hoppers and many prizes valued at over $20,000! 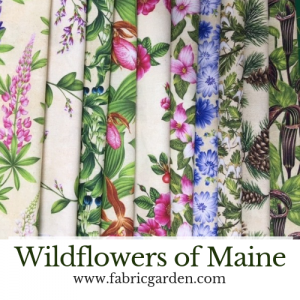 featuring the exclusive Maine Shop Hop fabric, "Wildflowers of Maine". This year's them is "Sew Musical". 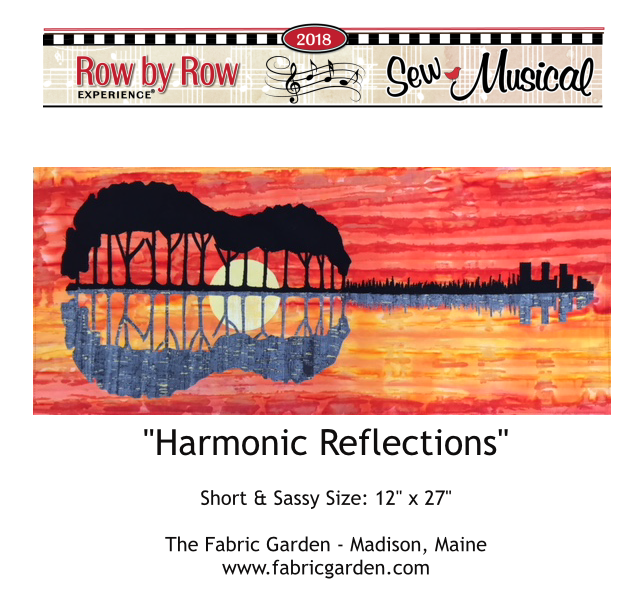 Our row depicts a serene silhouette on a lake, which - when you look closely - is a guitar.